“Inner Engineering” will be personally conducted by Sadhguru in a special three-day format scheduled from April 19 – 21, 2013 at the Georgia International Convention Center (GICC) in Atlanta. Program components include enlightening interactive sessions with Sadhguru, guided meditations, asanas (simple yoga postures), Shambhavi Mahamudra, a powerful , 21-minute energy technique to bring the entire system into alignment so the your body, mind, emotions and energies function in harmony. Microsoft India about the way Isha programs have transformed his life. Isha Foundation, an international non-profit organization founded in 1992 by Sadhguru Vasudev aims to inspire, to stoke, and to nurture the pursuit of striving to transform oneself into a higher possibility hosting a series of programs to heighten self-awareness through yoga. Headquartered at Isha Yoga Center, Velliangiri Mountains in southern India, and at the Isha Institute of Inner Sciences in Tennessee, USA, Isha is operated by over 2 Million volunteers from more than 150 city-based centers worldwide. The Foundation is also involved in various social and community development activities and works in tandem with international bodies such as the Economic and Social Council of the United Nations. hall. The Isha Institute of Inner-Sciences, established in 2006 houses the Mahima Hall, a 39,000-square- foot meditation hall consecrated by Sadhguru in 2008. Mahima, the 39,000 sq. ft. free-spanning meditation dome at the U.S. headquarters. With customized system, “Isha Yoga” at the core of its activities, founder Sadhguru’s introductory program, “Inner Engineering”, an initiation into meditation and pranayama and Shambhavi Mahamudra, an inner energy process, for deep inner transformation. Isha Yoga Center also offers “Isha Rejuvenation,” a Siddha and Ayurveda Therapy. Isha Foundation supports various humanitarian projects such as “Action for Rural Rejuvenation”, a rural revitalization program offering medical care, community rehabilitation, and humanitarian services to more than 2,500 destitute villages in rural southern India, “Project Green Hands” a public reforestation effort aiming to plant 114 million trees, in Tamil Nadu, India, “Isha Vidhya”, an English medium, computer friendly education for transforming Tamilnadu rural scape. 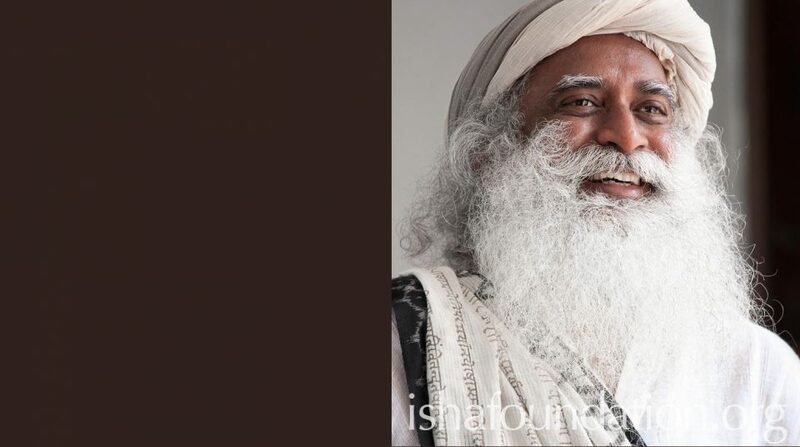 Isha teachings have made way into the corporate world, with Sadhguru’s “inclusive economics,” and programs for leaders, creating joyful and balanced individuals to bring a true sense of inner well-being and a sense of compassion and inclusiveness into today’s economic scenario. Isha’s “Sacred Walks” program offers tours to mystical destinations such as Mount Kailash and the Himalayas under the banners Kailash Manasarovar Sojourn, Himalayan Dhyan Yatra, Chamundi Hills, Varanasi, and Pancha Bhuta. Isha has various publications, “Mystic Musings”, “Eternal Echoes”,” Sadhguru – More than a life”, “Life and Death in One breath”, “Chaho! Sab Kuch Chaho”, to name a few in English and Hindi. “Sadhguru is mystical, insightful, beautiful, funny, wise and grounded. I have taken two of his Isha programs, and strongly encourage you to explore this program for yourself; it’s not to be missed,” says actor Angelica Houston. Sadhguru’s programs and teachings have garnered a faithful following across the globe with testimonials galore, each willing to admit the transformation within. Forum in 2006, 2007, 2008 and 2009. He was also a participant in the 2006 documentary film ONE: The Movie. http://www.ishausa.org for information about various events and programs.